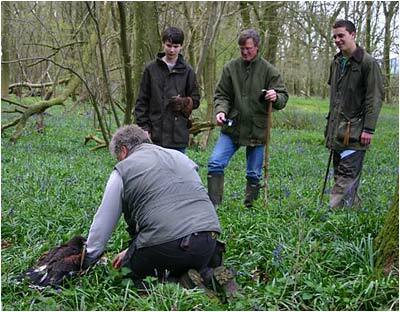 From October to March – Hunting with Hawks in the beautiful Hampshire countryside. This very popular day is frequently purchased as a gift. The day starts at approx 9.30am on the chosen land, with a chat about the birds and some handling and safety information over coffee and Bacon sandwiches. We then take three Harris Hawks and hunt in a variety of ways - beating through woodland, ferreting and walking up game with the birds on the fist. Two guests are carrying birds and one is flying/hunting a bird at any one time, with the others acting as Dogs or Ferreters. 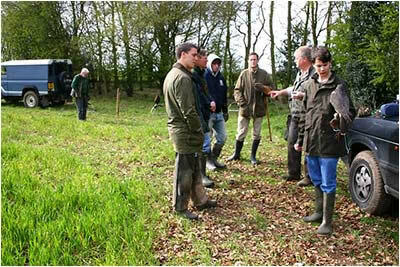 From £120 per person (maximum 6 people) For Private Groups of less than 6 people there is a minimum £560 group rate. Individuals will join a group of no more than six. Call us if you need more information and to book.